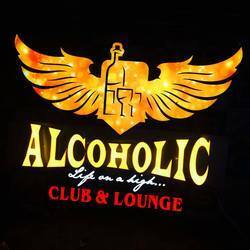 Providing you the best range of backlit signs, commercial sign board, signage system, 3d signage, sign board and 3d letter displays with effective & timely delivery. 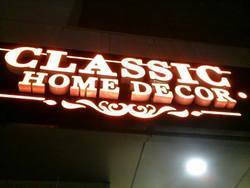 Owing to great quality, we offer a rich assortment of Backlit Signs which are basically used for representing the shop, some Valuable Product's Photo, company and others name. With the aid of our skilled engineers, we are able to design and develop an array of Backlit Signs. Leveraging over the skills of our qualified team of professionals, we are instrumental in offering a wide range of Commercial Sign Board. We have uniquely positioned in the market creating a beautiful looking array of Commercial Signage Board. Our clients can avail from us a wide assortment of Signage System. These are sturdy in nature and continue to deliver quality results in long term usage. Backed with deep industrial knowledge, we are engaged in offering a technically updated variety of 3D Signage. We are engaged in Fabrication of 3D Signage. These can be availed different specifications of wattage in accordance with size of the hoarding. Assisted by a team of dexterous professionals, we have been able to manufacture & supply Sign Board. 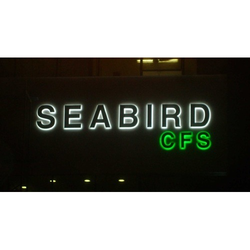 Reckoned in the industry an eminent manufacturer & supplier, we are engaged in offering our customers with Sign Board. Being a client-centric organization we manufacture & supply an expanded range of 3D Letter Displays. We are pleased to present our esteemed clients with an unparalleled range of 3D Letter Displays. Gogia Print O Grafix manufactures a wide range of Corporate Signage which is used by the corporate clients to highlight their business aspects. 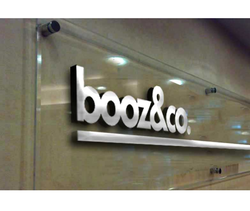 We offer clients facilities for manufacturing ACP signboard with Corporate Signage. 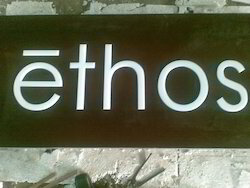 We are reckoned amongst the customers for manufacturing and supplying the bulk of Indoor Sign Board. 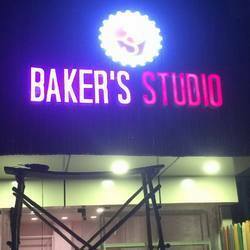 Owing to the latest trend, we are engaged in manufacturing and supplying a huge collection of Indoor Sign Board. Our products are manufactured using best quality raw material that we source from professional vendors of the market.